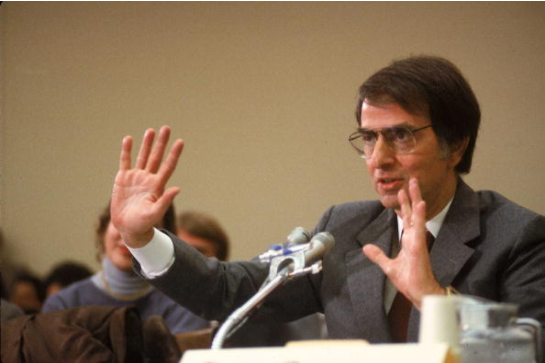 Carl Sagan testifying before Congress regarding nuclear winter. Of course, Hillary Clinton and Donald Trump didn’t talk much about science during their campaigns. This was not an election based on issues. But this was the first election in U.S. history where the role of expertise itself — be it scientific, academic or security-related — actually divided the candidates. During her acceptance speech after the primaries, Clinton said she believed in science, citing climate change, in particular. Donald Trump, meanwhile, has called climate change a hoax. That statement, along with Trump’s pending withdrawal of the United States from an international climate agreement, drew unprecedented criticism from more than 375 members of the U.S. National Academy of Sciences. Further, more than 1,200 members of the scientific community echoed these concerns in a another letter, citing Trump’s embrace of conspiracy theories and the alacrity with which he and his running mate made discredited claims about vaccines, evolution, and the link between smoking and lung disease. They joined many other experts in making similar statements condemning Trump and praising Clinton, including Nobel Prize winners, historians, economists and nuclear launch officers. Trump’s rise — and his narrow victory — should make us question the degree to which expertise will continue to matter in politics. We know that it does when it’s time to make policy, but on the politics, its salience is simply low and will probably remain so. Repeated warnings from experts across disciplines and across the political spectrum fell not on deaf ears, but on deeply disengaged and distracted ones. It is tempting to blame others for this problem, including politicians who abandoned their Constitutional principles to support Trump as well as media coverage that too often balanced bigotry, threats of violence, repeated falsehoods, attacks on the democratic process itself and sexual assault with email servers. But such complaints will not change anything, certainly not history. It is therefore up to the scientific and academic community itself to become a more powerful political constituency. As Dr. Sagan once said about our planet, help will not come from somewhere else. What lessons do we take away from this as science communicators who care about public policy? Here are a few, which broadly apply to other experts, too. While people still appreciate and respect the work that scientists do, the scientific enterprise itself is far removed from most peoples’ day-to-day experiences. We need to continue to communicate about the value research brings to people’s lives with an emphasis on memorable, accurate stories and well-tested messages, repeated often, from a variety credible sources. This must also include helping people understand why scientists do what they do, be it curiosity, a sense of service, or excitement at the prospect of finding something new. We live in increasingly cloistered information bubbles thanks to the algorithmic mirror of social media and demographic sorting. That makes it easier for conspiracy theories to spread and for serial fabricators like president-elect Trump to lie without political consequence. Social scientists, science communicators, social media companies, and mainstream media fact checkers must dedicate themselves to figuring out how they can debunk and prevent the spread of conspiracy theories in the future, lest they take hold as a basis for governance. 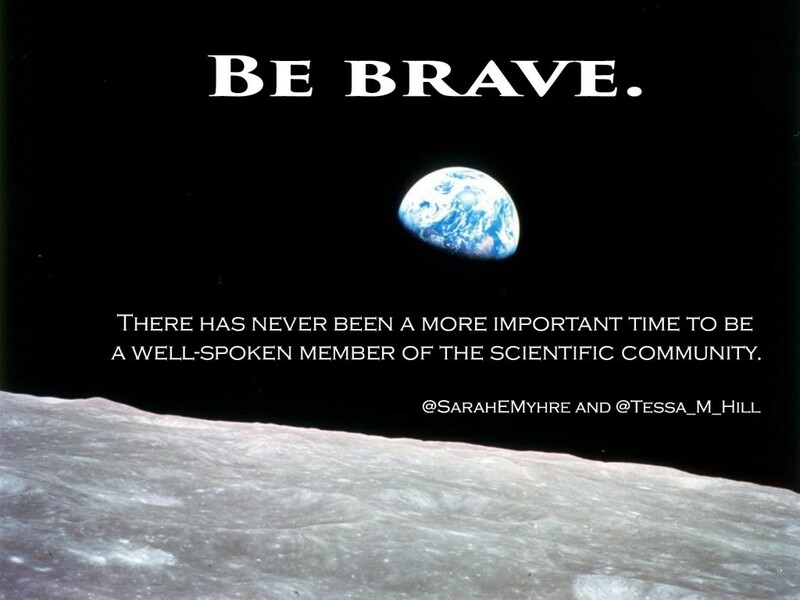 We must support, protect and defend scientists at public agencies, especially federal agencies. Environmental scientists, in particular, are going to see their budgets cut and their free speech rights squashed by political appointees, especially their right to speak to journalists. Organizations such as Public Employees for Environmental Responsibility, the Climate Science Legal Defense Fund and the Union of Concerned Scientists, where I worked for many years, are well-positioned to do so. Scientists should engage more personally and deeply at the community level and with the stakeholders who use their scientific research. And they should explore how they can collaboratively create science that serves their communities. We must combine citizen science with scientific citizenship. More scientists should run for and win elected office. Holding scientists and expertise in high esteem was an integral part of the post-war political order in the United States. That political order is dead. Scientists can no longer rely on many of our political systems and institutions to be responsive to the weight of evidence, especially on contentious issues. Instead, scientists must earn their place at the decision-making table the same way everyone else does, by organizing and participating in our vibrant, contentious, messy democratic process. Scientists will only be listened to when they build and wield power, both on their own or through allies. This isn’t just about the small number of scientists in Congress, either; we must look to scientists to become more engaged members of their local communities, serving on boards and councils, on committees and in state legislatures. Of course, many scientists and science communicators are already doing all this. What I am saying is that we need more. Scientists who think this is someone else’s problem need to come off the sidelines. And scientific leaders have a further responsibility to foster more leadership in our community, through mentorships, fellowship programs and the simple grace of building each other up instead of tearing each other down. Originally published at Science Communication Media.